While I had (briefly) "grown out" of action figures by 1983, I still liked to shove my face up against the bakery window so to speak. Revell's Power Lords were probably the most intriguing to me as they were so....uncommercial in their designs. To be honest, their designs looked almost frightening and appealed to my 12 year old sensibilities. 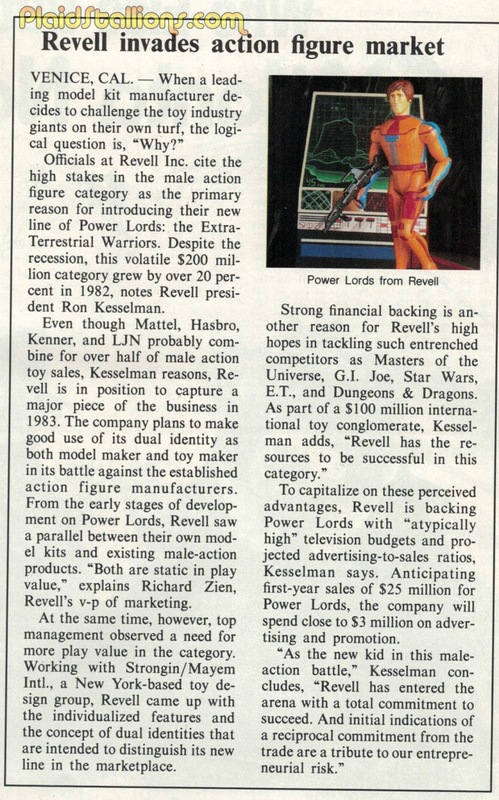 This article from 1982 (part of a larger piece I'll reveal at a later date) reveals the big plans Revell had for the Power Lords. 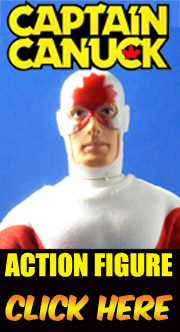 A few years ago I bought some of these figures on Ebay, knowing very little about them. They are interesting figures, with their rotating body parts. Strange that I hadn't heard of them back then. Dargon of the Sectaurs visits a Toy Store! Whole-Head Horror Masks! Collect them all!